This has become my staple recipe for basic sourdough. I use a Nutri-Mill to grind my spelt berries into flour. I use the Real Salt brand for our celtic salt, and filter the water through our Berkey. I feed my starter organic pastry flour from Azure. 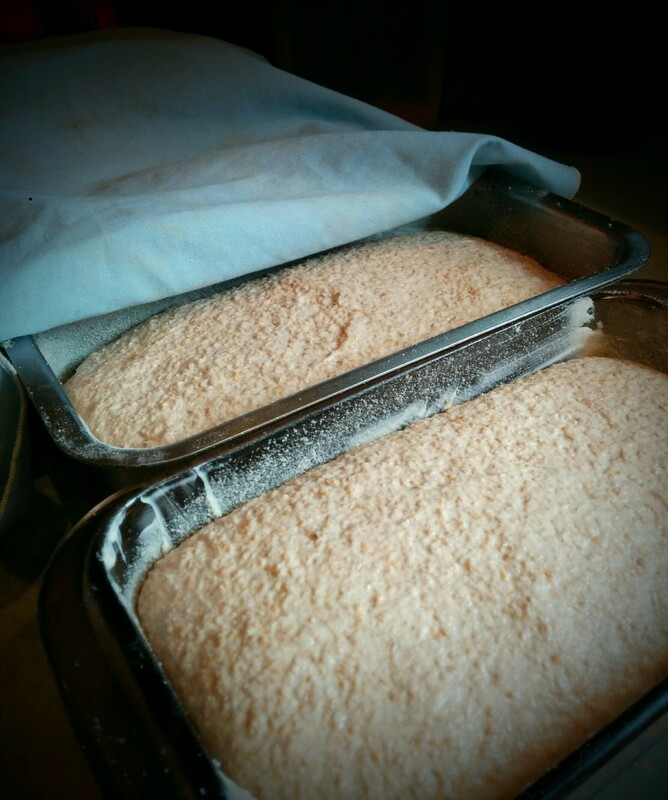 For the process on freshening the starter and benefits of sourdough, check out this post. I freshen my starter in the warmer months around 5pm and start the dough at 8-9pm. In the cooler months, I freshen my starter in the late morning sometime and do the dough later in the evening. Add ingredients as order above in mixer (I use a Bosch), adding flour 2 cups at a time or so. Mix on setting 3-4 for about 5 minutes if using a Bosch and on a medium speed if using other mixer for about 7-8 minutes. Take out and place in fridge (in a plastic or ceramic dish, not metal). Leave overnight in fridge, next morning first thing take it out. Grease and dust bread pans (I use palm shortening and rice flour). Allow to do a second rising until it reaches just to the top of the bread pan (about 3 hours or longer in winter). Bake in a pre-heated oven at 415 for 15 minutes. Turn oven down to 350 and continue to bake for another 30-35 minutes. Take out of pans and allow to cool on their sides (or if the bottom is quite browned, you can cool it on the bottoms).